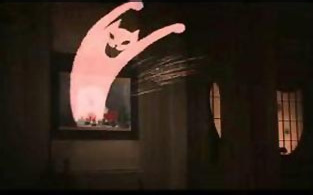 In the history of this blog, I don’t think I’ve ever had more to say about the topic of a post than I do about about the movie House (Hausu). 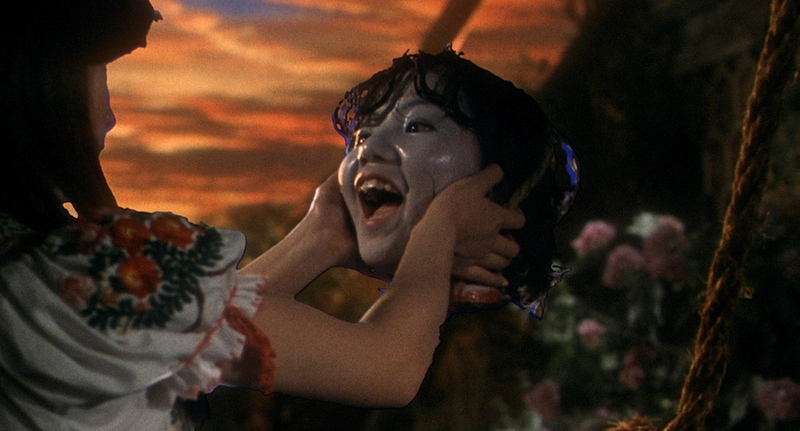 The film company approached director Nobuhiko Obayashi about making a film similar to Jaws. And he did…if Jaws were about the horror laden psychedelic journey of 7 giggling Japanese schoolgirls visiting a cannibal recluse and her demonic witch-cat. Did I mention the girls are named Gorgeous, Fantasy, Kung Fu, Melody, Mac, Prof and Sweet? They proceed to get devoured one by one in the most absurdist fashion imaginable (well, nothing about this movie is actually “imaginable.” It clearly sprang forth from the deepest wellspring of the director’s haunted unconscious). It’s not just as if the movie were made by someone on acid, but as if the movie itself then came alive…and took acid. I’ll be going back and creating a GIANT album of incredible screen shots from the film (the ones online don’t do any justice), but I needed to share this with you guys immediately. 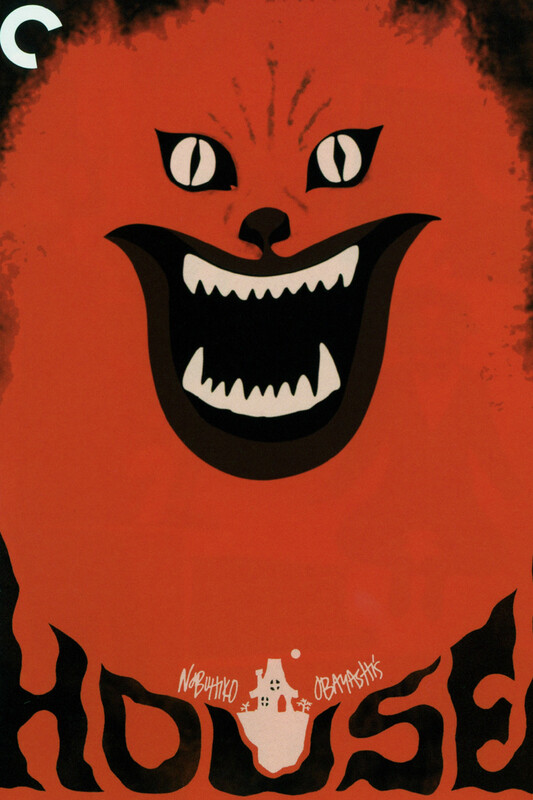 Believe it or not, I’m put off by a lot of “weird for the sake of weird” films. But this is some next level awesomeness. I hesitate to discuss my favorite scenes because I’m holding each and every one of you accountable for seeing this film, and I don’t want to spoil the fun surprises, which come roughly every 6 seconds. Yes, that image above is indeed a flying Kung Fu kick from a dismembered lower half of a human body. Are you running to find this movie yet? 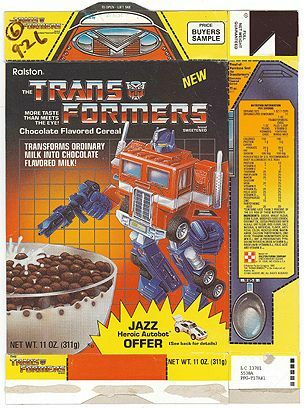 What kind of cold hearted freaks could look at Gizmo and cancel this cereal? Look at those eyes! I’d eat a box that’s been sitting around since 1984 if this creature asked me to. Who remembers Body Buddies? 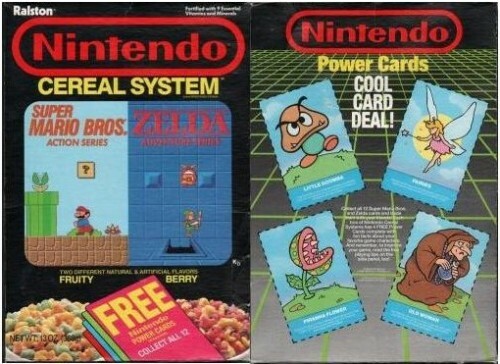 I had these as a kid. 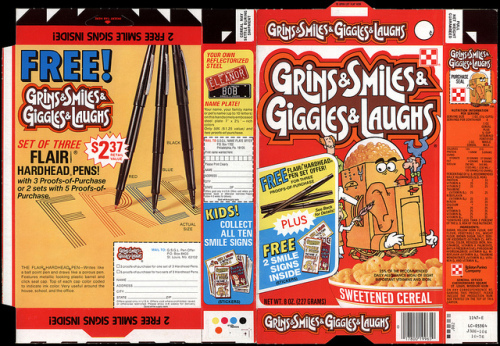 I think I believed they were healthy because of the deceptive name (and those awesomely strong kids on the box). Dear World, please notify me when sugary corn puffs become healthy. Thanks. 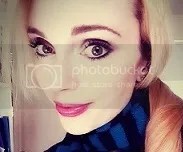 Barbie? No wonder this failed. Everybody knows she has black coffee and cigarettes for breakfast. 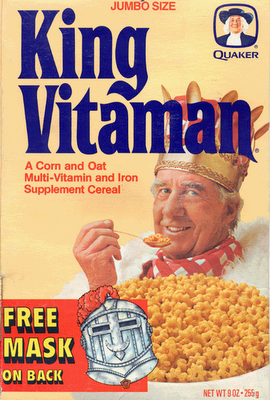 Poor King Vitaman didn’t reign for long. 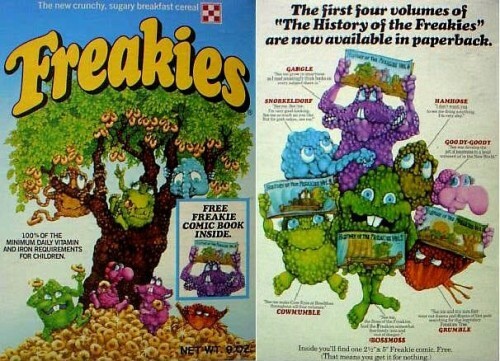 These were before my time, but I’m sad to see any monster cereal go. 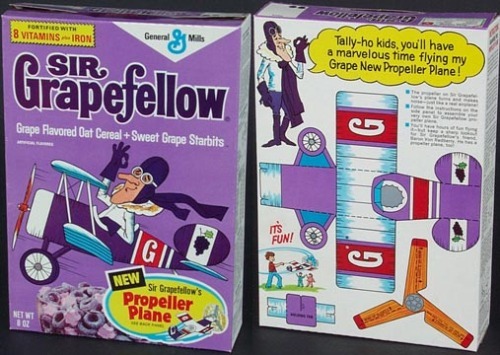 I’m not sure what prompted anyone, ever, to think that grape flavored grains and marshmallows was a good idea. This has to pass…committees and stuff. I’m sure this got discontinued because no one wanted to bother writing the name on a grocery list. Still, the premise of a robot who shoots out sweetened morsels when tickled was gold. It’s not cereal, folks. It’s a cereal system, which sounds undeniably sophisticated. 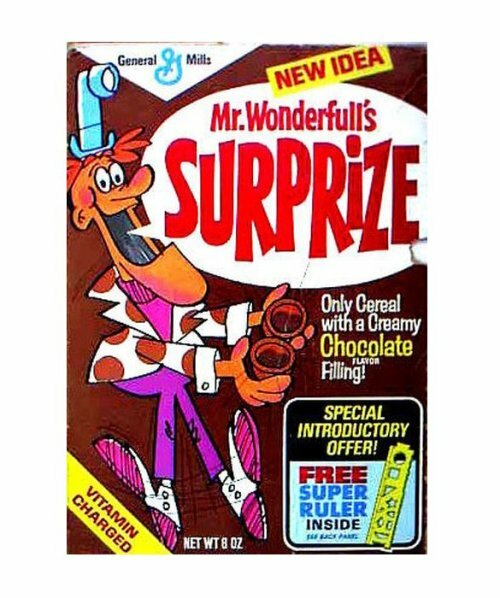 If someone handed me chocolate food…filled with chocolate…I’d be calling him Mr. Wonderful too. I think this pairs nicely with the book above. I love how engaged Death is with his book. Strangest strike banner ever. Unless you’ve seen a stranger one, in which case I really hope you share it with me. I sense a seemingly incorrigible child and a maudlin, happy ending. I can forgive the obvious impracticality of having a giant tube directly in the driver’s field of vision, because it’s clearly inspired by atomic structure. A wonder what qualifies as a “good” or “mediocre” decapitation. “Did anyone notice Grandma looked a little unwell today?